If you have persistent anxiety that is impacting your life on an everyday basis, you may have an anxiety disorder. 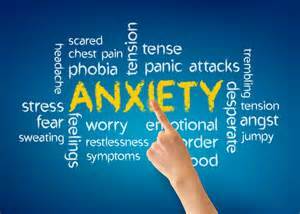 Anxiety disorders are treatable with medication and/or psychotherapy. Anti-Anxiety Medications – Some may not be accessible in the UK. Please discuss with GP. Anti-anxiety medications help to calm and relax the anxious person and remove the troubling symptoms. There are a number of anti-anxiety medications currently available. Benzodiazepines such as valium (diazepam) Xanax (alprazolam), Klonopin (clonazepam) and Ativan (lorazepam) are sometimes used to treat anxiety for a short-term period. Benzodiazepines cause muscle relaxation and reduce other symptoms related to anxiety. These medications are not typically used long-term because they can cause addiction. Often used as a front-line treatment for anxiety disorders, selective serotonin reuptake inhibitors (SSRIs) include medications like Paxil (paroxetine), Prozac (fluoxetine), Zoloft (sertraline) and Lexapro (escitalopram). SSRIs increase the amount of serotonin in the brain, which helps improve mood. Side effects include a headache, dry mouth, sleep issues, sexual issues and weight gain, but many of these go away within a couple weeks. Another common category of medications used for anxiety are the serotonin-norepinephrine inhibitors (SNRIs), which include medications like Effexor (venlafaxine), Cymbalta (duloxetine), and Pristiq (desvenlafaxine). SNRIs increase the levels of serotonin and norepinephrine to help boost mood and are considered just as effective as SSRIs. Side effects are similar to those of SSRIs. Tricyclic Antidepressants are the antidepressants that were first developed, so they can have a whole host of unpleasant side effects. However, they are still sometimes useful in treating anxiety particularly because everyone reacts differently to medications. Common medications in this class are Tofranil (imaprine), Elavil (amitriptyline), Pamelor (nortriptyline) and Anafranil (clomipramine). Side effects may include constipation, dry mouth, blurry vision, a decrease in blood pressure when standing and urinary issues. Maybe you don’t actually have an anxiety disorder but you’re really struggling with relaxing, or maybe you do have an anxiety disorder and just want additional ways to relax. Either way, here are some great ways to unwind and de-stress. Dance to your favorite song. Write down exactly what and how you’re feeling without thinking about it. Meditate or take several deep breaths. Sit down for five minutes and watch the sun set or rise with your favorite beverage. Call a friend or close family member. Start a gratitude journal. It helps you focus on the positive aspects of your life. Plan a day to do nothing and then do it. Indulge in your favourite candy, chocolate, coffee or sweet. Watch a comedy or funny YouTube video. Anything to make yourself laugh. Pet your (or someone else’s) pet. Studies show petting furry creatures reduces stress. Plan a holiday. Just the thought of sitting on a warm beach or in a fire-lit cabin is sure to make you feel more relaxed. Massage your temples for a few minutes. Try writing a poem or a song. Please call or contact DTR for information, help and assistance if required.